Fact: Gila Monsters are awesome, and by awesome I mean ‘totally sweet.’ This blog post is all about REAL GILA MONSTERS. This blog post is awesome. My Name is Stewart and I can’t stop thinking about Gila Monsters. These guys are so cool, and by cool I mean totally sweet. 01. Gila Monsters are reptiles. 02. Gila Monsters fight ALL the time. 03. 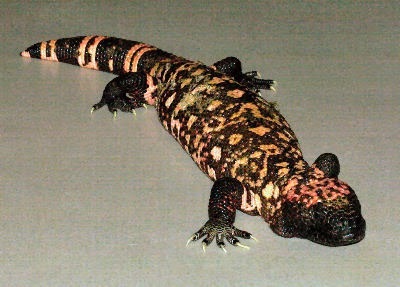 The purpose of the Gila Monster is to flip out and kill people. Testimonial: “Gilas can kill anyone they want! Gila Monsters cut people ALL the time and don’t even think twice about it. These guys are so crazy and awesome that they flip out ALL the time. I heard that there was this Gila Monster who was eating at a diner. And when some dude dropped a spoon the Gila Monster killed the whole town. My friend Mark said that he saw a Gila Monster totally uppercut some kid just because the kid opened a window. If you don’t believe that Gila Monsters have REAL Ultimate Power you better get a life right now or they will chop your toe off!!! It’s an easy choice, if you ask me. Q: Why is everyone so obsessed about Gila Monsters? A: Gila Monsters are the ultimate paradox. On the one hand they don’t give a flip, but on the other hand, Gila Monsters are very careful and precise. Q: I heard that Gila Monsters are always cruel or mean. What’s their problem? A: Whoever told you that is a total liar. Just like other reptiles, Gila Monsters can be mean OR totally awesome. Q: What do Gila Monsters do when they’re not cutting off toes or flipping out? If you see, hear, smell, taste or feel a Gila Monster anywhere near you, run away as fast as you possibly can. You never know what might trigger a Gila Monster to flip out so the best defense against them is to be as far from them as possible…not that it will really matter. Did I mention that Gila Monsters are totally sweet?